There is wide spread interest in water conservation and specifically in capturing and reusing rainwater in both residential and commercial buildings to reduce costs, reduce the environmental impact of the building and lessen the load on the municipal sewer and stormwater systems in the arid southwest where droughts are a way of life. Continue reading Passive versus Active - Rainwater Catchment. have plenty of empty land to trash? For as long as I can remember my grandmother recycled. She was way ahead of her time. She thought it was just the right thing to do. Sending stuff to a landfill did not make sense to her. She recycled as much as she could. She hauled newsletters to the local recycling center, took bottles back to the store and recycled unwanted or discarded items to local second hand or goodwill stores. In short, she was trying to have a smaller carbon footprint before those words entered the American vocabulary. Most larger Northern New Mexico communities now have a recycling program, this includes; Los Alamos, Taos, Santa Fe, Albuquerque and several of the other surrounding communities. In Santa Fe we have had a local pickup recycling for over a decade. It has changed over the years, but it is now a citywide program, encompassing both businesses and residences. On an average month, all of us combined are recycling several hundred tons of material (i.e. paper ~270 tons, cardboard ~175 tons, plastic ~25 tons, tin ~15 tons, aluminum ~5 tons, other materials over 30 tons), and this does not include the cardboard and other materials that are being directly recycled by local businesses and residences not going through the City of Santa Fe program (e.g. local Albertson and other retail outlets directly recycle cardboard for cash). This is over 500 tons not going to the landfill! Making products with recycled materials, instead of from scratch saves the environment from destruction, but also saves energy and saves water. For example, there is no limit to the number of times an aluminum can can be recycled. It is estimated that it takes just 5% of the energy to produce a new can from an used one. That is a 95% savings for every aluminum container recycled! Glass is another great product that can be recycled. It takes about 40% less energy to produce a new glass container from a used one; saving great amounts of energy, water, soda ash, limestone and sand. It takes about 1,000,000 years for glass to decompose in a landfill! Just as importantly recycling cardboard and paper, not only saves trees it saves about 65% of the energy required to produce new paper products. Plus reducing greatly the bleaches and harmful chemicals used to produce new paper and cardboard. It is estimated that making a ton of paper from recycled materials saves about 7,000 gallons of water. Paper products are collected locally are bundled and shipped to recycling centers in New Mexico and Arizona. In as little as 30 days from the day recycled, a paper it could be back on your doorstep as your New Mexican. The materials Santa Fe collects for recycling is sold to recycling centers, thus we actually are getting paid for our waste products. A secret about recycling is it creates jobs. Job hauling, sorting, and remanufacturing recycled goods - all new jobs. The more we recycle the more jobs we create. 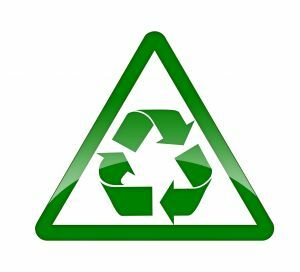 Recycling is not only environmentally sound, it a good economically sound practice. Recycling, whether a business or a residence, just makes good sense. My grandmother was just ahead of her time. But she definitely gave me the recycle bug. So let's start saving a boat load of water and a mountain of energy today - begin recycling if you aren't and increase what you recycle if you do.